The first newsletter for our SB&WRC Interreg project is now available to read. 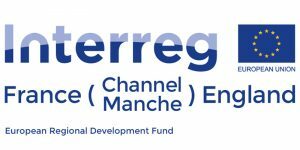 In this first edition, we invite you on a journey to both sides of the Channel to meet with the partners of the Franco-English research project. With each edition, the newsletter will highlight the work of the partners and inform you on the latest progress of the SB&WRC project through a series of interviews. In this edition, Nicolas Dutreix (co-founder of Nomadéis) lays out the context of the SB&WRC project and outlines the challenges and goals for both value chains, in France, in the United Kingdom and in Europe.